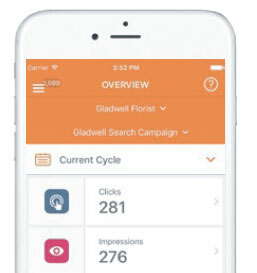 Gain instant visibility into the results of your advertising campaigns with the TopLocal Mobile App. Quickly review and evaluate your campaign performance, new leads generated and get in touch with new prospects while on the go. drill deeper into individual campaigns. 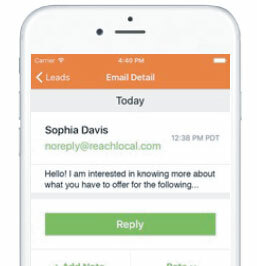 Understand More About Your LeadsReceive mobile push notifications when new leads are generated from your campaigns, and click through to access your list of leads, lead details, and related activity. Access Results With Ease View and evaluate campaign metrics from clicks and impressions to conversions in easy-to-digest reports. Quick Reply CapabilitiesSegment and follow up with new leads as you receive them with one-tap reply buttons to call or email. Save time and speed up conversions with the TopLocal Mobile App! 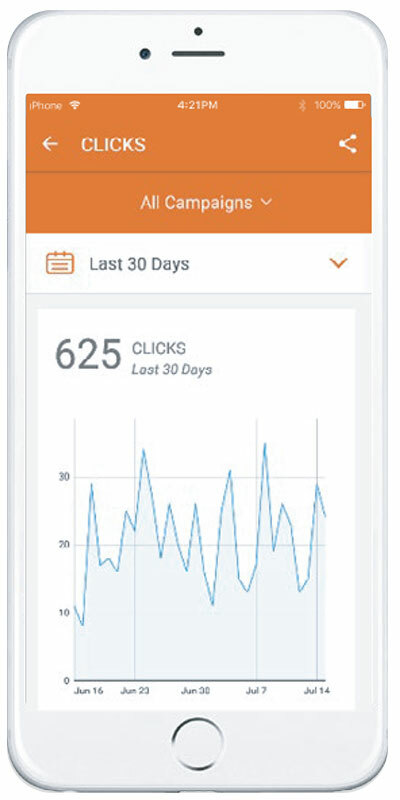 View your campaign metrics across clicks, impressions and spend and your campaign-related activity in one easy-to-use app. Follow up with leads as they enter your funnel and everything is recorded and categorized for you. See and understand the results from all of your campaigns in one place. 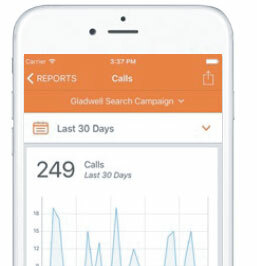 From the dashboard view in the TopLocal app, view a holistic picture of campaign performance and then drill down into individual campaigns and related metrics like campaign spend, impressions, clicks and leads generated. Evaluate results with lead attribution reports to see which marketing channels (calls, web events, emails, chats, etc.) contributed to your overall sales over time. Additionally, view the details and activity related to each specific lead to understand which touchpoints move the needle for your business. 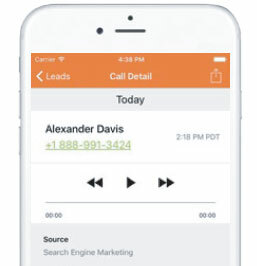 Review a variety of information about your leads with a few taps. See which marketing channels brought each lead into your sales funnel, and also play back past activity like calls, form completions and chat transcripts. Follow up with new leads as soon as they enter your funnel with one tap on the mobile app. Quickly classify the lead, add notes and call or email to follow up immediately.